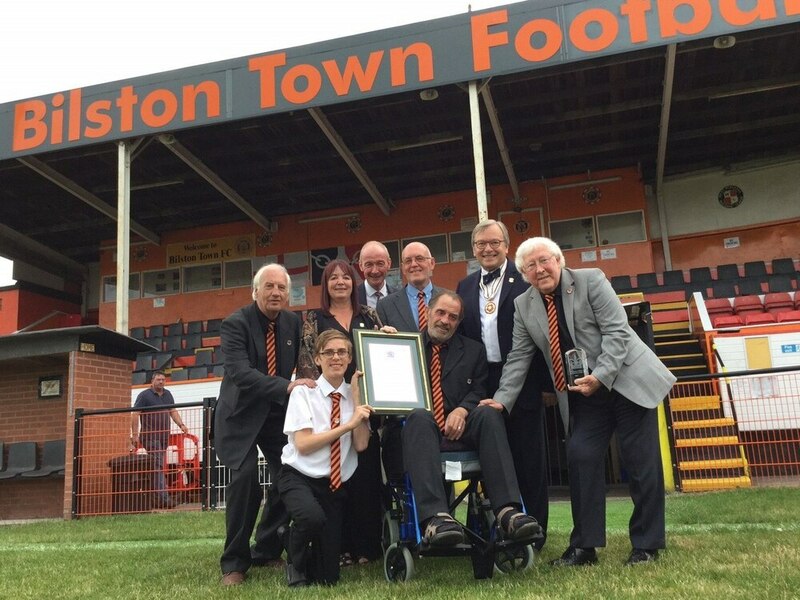 Bilston Town have been recognised for their sterling efforts in the community with the UK’s highest honour for voluntary work. The club were one of just four organisations out of 35,000 applicants in the Midlands to receive the prestigious Queen’s Award for Voluntary Service – the equivalent of an MBE. The award was presented by the Queen’s Deputy Lieutenant Simon Topman at a ceremony at the Steelmen’s Queen Street ground on July 14. Chairman Graham Hodson, who together with vice-chairman Denise Frankham and club secretary Paul Lloyd saved the club from going bust eight years ago, said: “This is a tremendous achievement that everyone at the club should be proud of. Bilston Town is entirely volunteer run, with no paid players on the books and a team of around 20 helping to run the club’s day-to-day activities. 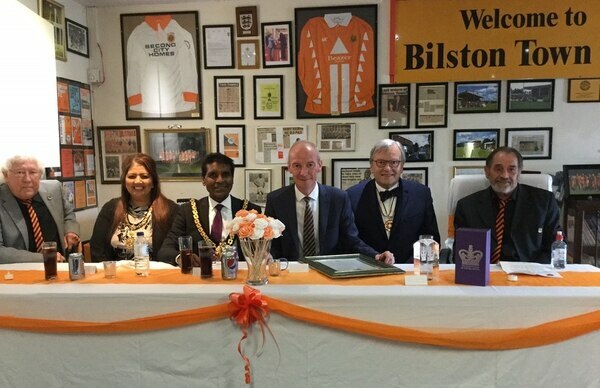 Wolverhampton South East MP Pat McFadden, who is the club’s honorary president, said: “This club has been a part of the community for over 120 years, and all through Bilston’s history it is part of what the town is about… its identity and its personality. Presenting the award to club committee members’ Eddie Fellows and John Mumford, Mr Topman said: “It is incredibly difficult to win this award. You have to be quite exceptional, and Bilston Town have certainly been exceptional. He also paid tribute to Mr Hodson and Ms Frankham, who he described as two of the most ‘dedicated and sincere’ people he had ever met. The award means the club can include the Queen’s logo on all of its stationary and media channels. Bilston currently play in the top flight of the West Midlands Regional League and are planning to develop four new youth teams for the upcoming 2017/18 season, including under-16s, under-14s and under-10s mini soccer.